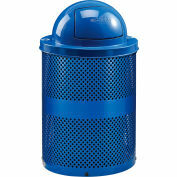 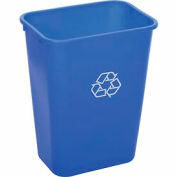 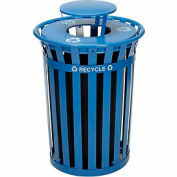 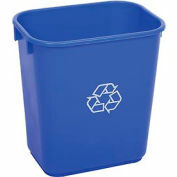 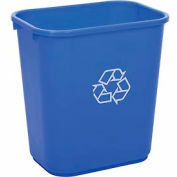 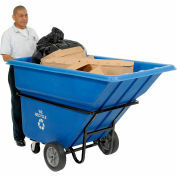 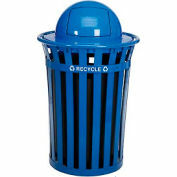 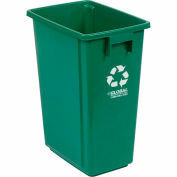 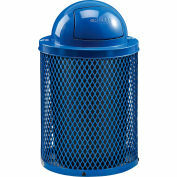 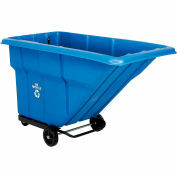 Recyclepro Series all metal, 2 Stream receptacles are the premier solution for recycling needs in any facility. 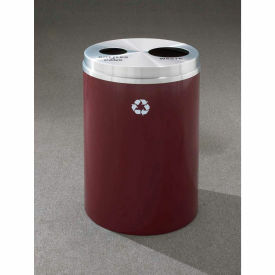 Each model features a timeless cylindrical design which incorporates a durable, aluminum top with different openings for each type of item to be recycled. 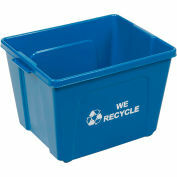 To promote the product's use and purpose, all models include a silk screened message and/or recycling logo permanently baked onto each unit. 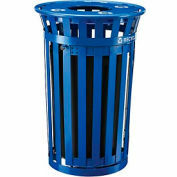 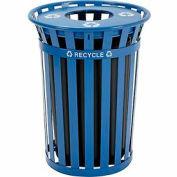 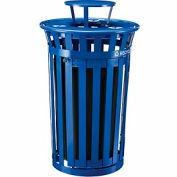 These American made, designer, fire-safe receptacles are the product of choice for use anywhere durability, performance and presentation count. 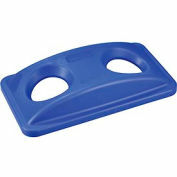 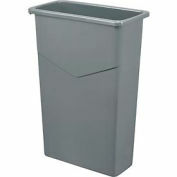 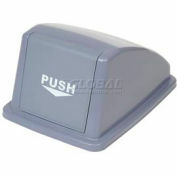 Includes a heavy duty inner liner can.